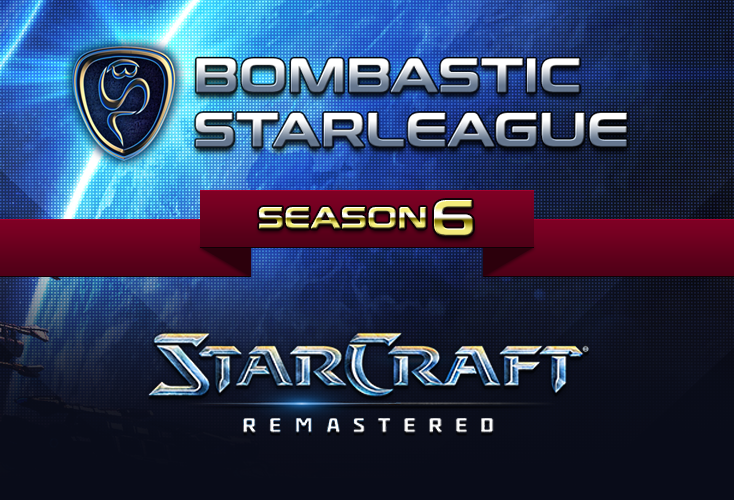 [BSL6] Ro8 Preview - Stomps or Upsets? The Ro8 is finally here as the end of BSL6 draws near. Most of the matchups appear one-sided as the underdogs threaten to be swept away, but we still have some time left for upsets to occur. Watch as they desperately fight to turn the tables in the most competitive BSL yet this weekend! Dewalt is on record for having one of the longest unbroken winning streaks versus Terror. There's no question why Dewalt embodies many of Terror's weaknesses. His razor sharp macro style, clean army control, and competitive fierceness can fracture even the most determined Terran's spirit. Prospects look no more hopeful for Terror as he marches into Dewalt's Protoss playground. While Terror's PvT has improved due to a better understanding of macro timings, his play is prone to bad decisions and strategic blunders and feels limited to a simple +2/+1 timing or an FD that falls off in the late game. Neutral game scenarios always lead to some theatrics before Terror inevitably loses the war of attrition, and that is by all means what Terror wants to avoid. For Terror to rewrite the terms of the battlefield will require mind games and timing-based pressure. Fortune will favor the bold, so 2 or 4-Fact timings may catch Dewalt off guard. However, there is doubt that Terror has the depth of knowledge to pull out these builds precisely. Moreover, many of BSL maps favor the longer game and dissuade rushes. There are few outs left for Terror, except maybe in the form of the dropship. Wraith and counter-drop play can be used to great effect to deflect reaver drops. Such moves however demand a high level of anticipation from Terror to pull off successfully. The number of ideal strategies can go on, but time is running out before the matches will finally be played. Unfortunately for Terror, he is simply too outgunned when it comes to TvP to pull off the win versus Dewalt. Gorynich comes parading into the Ro8 after pulling off the unargubly greatest upset of BSL6 by knocking out Eonzerg. The struggles only begin though as Trutacz takes the place of the ZvZ heavyweight. The most impressionable part of Gorynich's play was his finesse with his ling micro and calculating moves. He read Eonzerg's aggression and led him in only to counterattack harder. This matchup though will present altogether a different set of difficulties. Trutacz first and foremost boasts some of the best muta micro of the scene. His lings also are played far more conservatively when expanding, which makes a game decided by the muta battle more likely. Above all else though, Trutacz is known for his dissecting and precise 9-Pool. A build like that worms its way into exploiting even the smallest weaknesses, and Gorynich has been flustered by the build before even with the safest counters. Most of the maps certainly doesn't favor a 9-Pool, but that won't stop Trutacz from trying at least once. The chaos that can also unravel from a 9-Pool has also led Trutacz to do endless base trades. It's a miracle how Trutacz defends with a single sunken while his lings backstab to victory. On the other hand, Gorynich won't give Trutacz the pleasure. He comes across as far more conservative of a player versus 9-Pools. In 2-Hatch vs 2-Hatch games, Gorynich can also win with simple ling attacks. Trutacz has often lost to Eonzerg and versus others simply by not making enough lings and overestimating his defense. For a player who is so talented in other ways, this insight is occasionally missing for Trutacz in the heat of competition. While Trutacz feels technically superior in ZvZ, there are some misgivings in his play. Gorynich isn't a standout player either, but if he can replicate the same play he did vs Eon, he has a chance. Bonyth meets Dandy in what feels like a match that's already over. Defeat appears imminent as Bonyth brings out the wires and strings to pull the Terran every which way. Bonyth's carriers and reavers elude capture like a golden snitch and leave behind a trail of SCVs and a decimated Terran army. This is an unlikely scenario for Dandy against anyone else, even Dewalt. That should show how effective Bonyth's style is versus the stubbornly standard play of Dandy. Viewers saw firsthand Dandy's stubbornness in opening with a 1-Rax expand in the Ro16 as Dewalt promptly punished him both times with forward gates. Unsurprisingly, Dandy will likely 1-Rax expand or at least do a standard 3-base style again. The best approach however would be to pull out the trusty 6-Factory which he used to wield as a regular build in his arsenal. Specific timings meant to punish carriers is exactly what Dandy must do, maybe even something entirely new like early starports to counter Bonyth's almost all-too-predictable reaver harass. Alas, Dandy is unfailingly firm in his play, so expect no variety besides his usual +2/+1 timing. Viewers can only look on as Bonyth's carriers make little work of him. A first for the BSL: not one, but two NA players enter the Ro8. Unfortunately, they happen to be pitted against each other, but at the very least one of them is guaranteed to advance to the Ro4. Dragon sticks out as the favorite. His macro efficiency is perfected down to the mineral, so he couldn't have asked for a better opponent than the passive Nyoken. While Nyoken is also macro-oriented, he'll give too much leeway for Dragon to nestle in his comfort zone. The macro-heavy maps don't help either. That said, not much has been seen of Nyoken's TvP. If he is capable of a strong 2-base push, then this is the place to show that. Dragon certainly has shown himself to be highly vulnerable to those plays. He's already lost underwhelmingly to Cryoc and spx due to his mediocre decision making and army control. Still, Nyoken is unwaveringly confident in his play and likely will stick to what he knows best. Who knows, Dragon may throw away some arbiters or botch some army engagements. He's no stranger to such hiccups in his play. On the other hand, Nyoken has looked calm and composed in the BSL so far. But on the whole, you've gotta root for the former.